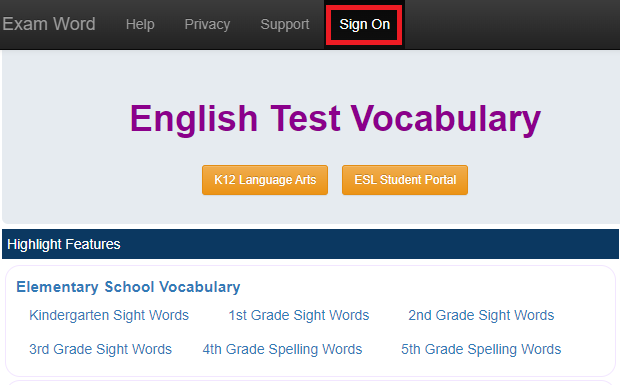 How do I register account at www.examword.com? If I forget my access code, how do I request it? How do I set or change my language? How do I create VSO course? How do I set or update Preference? How do I load words to VSO from built-in word lists? 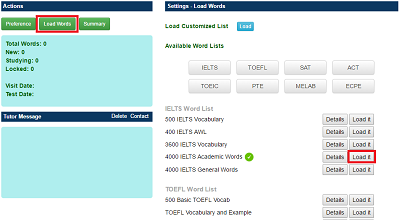 How do I load my own word list to VSO course? Why do I fail to load words to VSO course? Can I delete all new loaded-words? 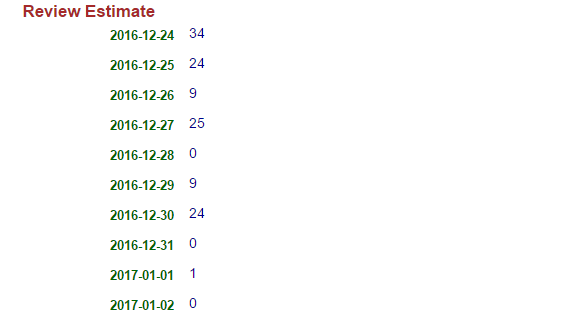 Can I delete individual words from VSO course? Can I reload word list? May I get my loading history? Can I update word’s definition? How do I study new words? How do I review words? Why does review list change from time to time? If I cann't review all words of today, do I miss them? Can I increase word number at Today Review? May I know the workload for review learned words? May I view learned words not in Today Review? Difference between Today Review and In Studying? How do I make test sheet? How do I finish a test? Why do I need to save test report? How to do it? How do I send my test result to tutor or others? May I change test size? Why do some features like Read fail? 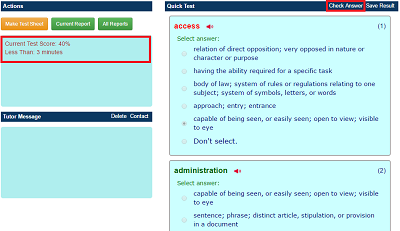 How do I register an account at www.examword.com? 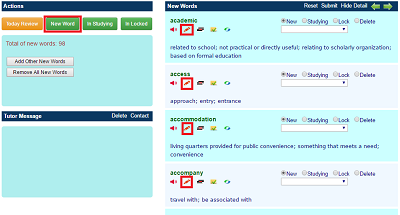 The account of www.examword.com is for all apps in this web site, including Vocabulary Studying Online. If you didn’t have, please register one at first. 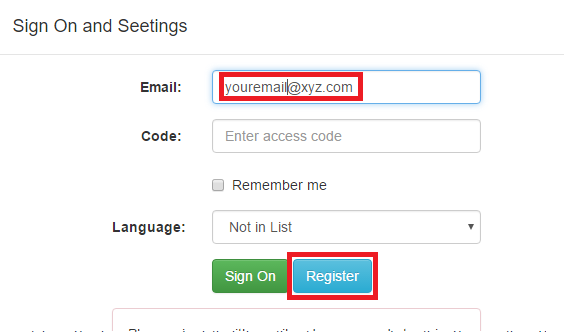 Register account is very simple, just tell us your email address, an access code will be sent to your email very soon. The email address will be used as account name. By the email address and access code you can sign on to the web site. 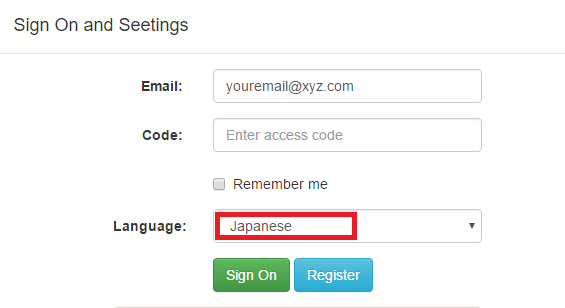 Use the original email to register again, the access code will be resent to you once more. Home language is an important feature for some apps of the web site. You can set it when registering or update it after sign on. 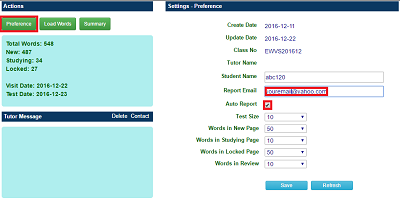 A www.examword.com account doesn’t mean you have VSO course automatically. After sign on, you can create own VSO course through Settings->Preference. 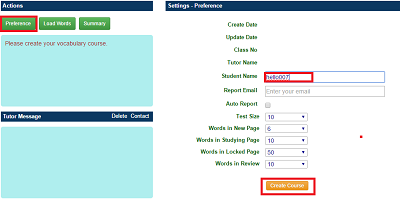 When your course is ready, you are assigned a class number. When create VSO course, you may specify all Preference fields. These fields also can be adjusted any time by Settings->Preference . 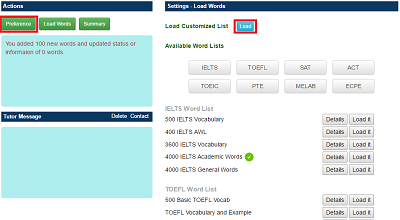 How do I load words to VSO course from built-in word lists? At beginning your VSO course is empty. You need to load words to it through Settings->Load Words. There are dozens of word lists built-in for loading. After select one list, each time you just load one item, namely a sub list. 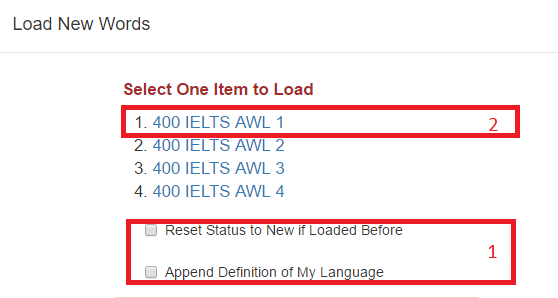 Before click the item, you should decide if overwrite the possibly loaded ones or append definitions of home language. Similarly as loading built-in word lists, but you have to prepare words in advance as format. If new words are more than 400 or studying words more than 5000, you cannot load new words to the course. In this case, you should shrink the 2 lists. 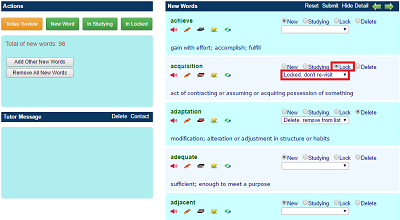 For example, move new words to studying words by learning, or move known words from studying list to locked list. Yes, you can remove all words of new list for any reason by Word Lists->New Word. 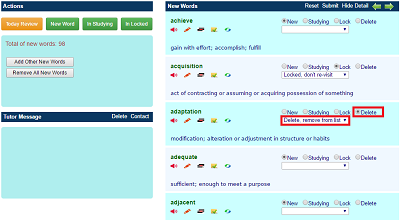 Yes, by Word Lists->New Word or Word Lists->In Locked you can select words to delete. Yes, when you load same list once again, the words won't be duplicated; however words' statuses may or may not be overwritten. Namely, you can decide to reset all duplicated words to new, or keep their statuses as before. Yes, you can see loading history at the end of Settings->Summary. It shows the total in the loaded item, the actually added words, and updated words. If you loaded the item before, and not set to overwrite the original one, you may see the added number isn’t as same as total. Can I update word's definition? 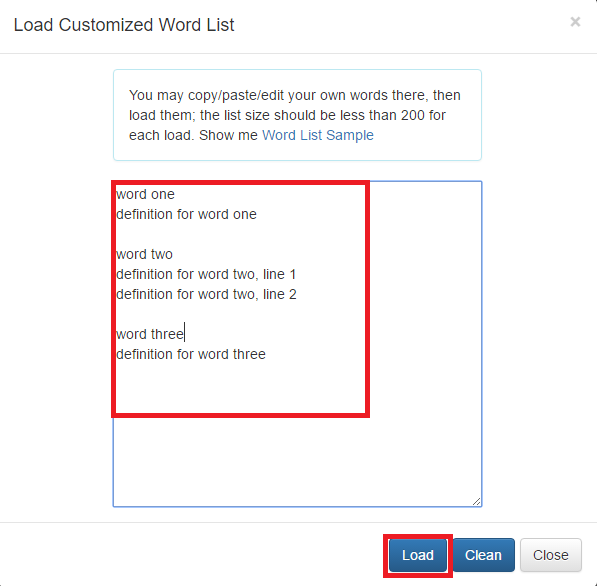 Yes, you can update definition of any loaded word, either from built-in list or your own list. This feature is in all word list pages. 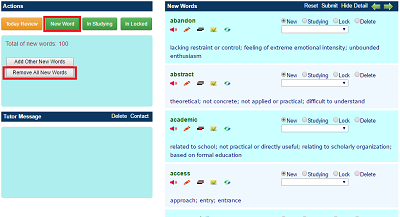 For example, by Word Lists->New Word, you can edit definition for each new word. 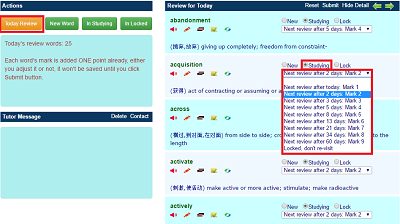 In first option, you can also specify the review interval. After you deal with all words of the page, you need submit them to save. 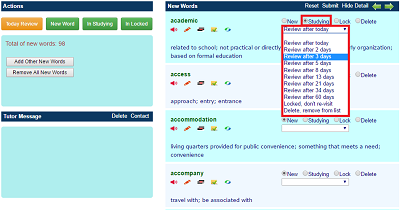 By Word list->Today Review, you get words you need review on current day. There each word's mark is added ONE point already, either you adjust it or not, it won't be saved until you click Submit button. Review will keep the word still in studying list, but add its mark. a bigger mark means a larger interval for next review. Besides, you can set word to new status or lock it on demand at this page. Why does my review word list change from time to time? Sometimes it’s even empty. The review word list of Today Review isn’t all words you need review in the course, just for words you need review today. It is made dynamically. If you don’t have word to review by schedule, or you have but you finished them already. The list will be empty. In general, if you review some of them, this list will be shorter. In addition, VSO calculates time interval by hour not by day, so some words may be picked to review list in the evening, which you cannot see in the morning. 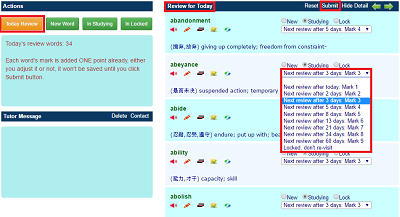 If I cannot review all words in Today Review, do I miss them? No. For any words you cannot review today, they will be merged to next day. The review pattern is designed basically by modern language education theory and scientific algorithm plus individual adjustment. We encourage you follow it to maximize the time efficiency. However, it’s flexible enough for this sort of exceptions. Can I increase word number at Today Review page to submit more words each time? Yes, you can adjust it through Settings->Preference. Actually, you adjust word number of other pages with similar way. Review words is a hard job in vocabulary building, may I know the workload of it? It’s difficult to have a precise plan. 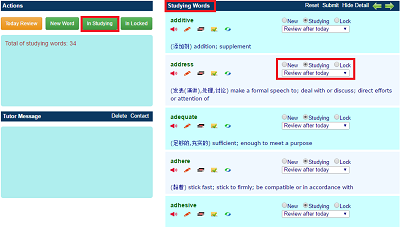 Based on your current progress and review pattern, you can get an estimation of 10 days without considering new words. The Review Estimate is in the middle page by Settings->Summary. May I view learned words not in Today Review, or say early review and change their statues? The Today Review only shows words that are scheduled to review on current day. 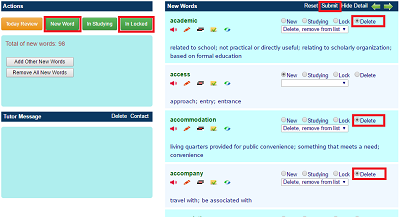 If you want to get other studying words, you may view by Word Lists->In Studying. 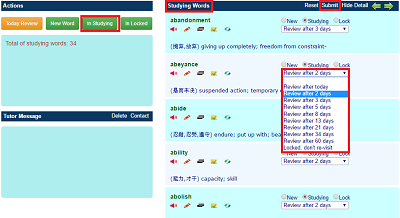 There you can see all learned words scheduled for review, which is called studying word list. The studying word list usually consists of thousands of words, so it’s not easy to work with it. It’s used to adjust individual words’ statuses and marks. What is the difference between Today Review and In Studying? Firstly, Today Review shows words scheduled to review on current day. In studying retrieves all words in studying list. 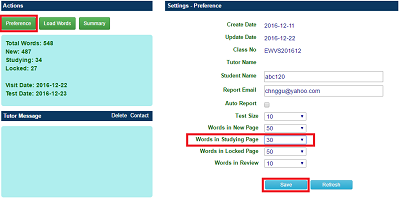 Then, Today Review is for daily action of vocabulary building and In Studying is for managing or adjusting words’ statuses in casual cases. At last, Today Review adds ONE point to each word by default. 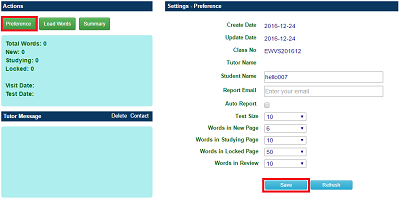 If you submit the page directly, marks of all words in the page will increased, these words will be set as reviewed. In studying page will show marks as original. 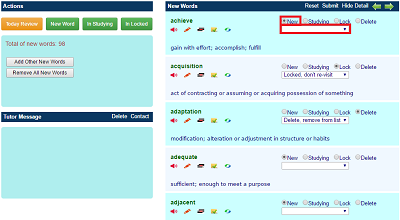 If you submit the page without updating mark or status of a word manually, no actual change takes place. You may see same word in both Today Review and In Studying pages, but the contents have a little difference. By Quick Test->Make Test Sheet, you can make test sheet dynamically. 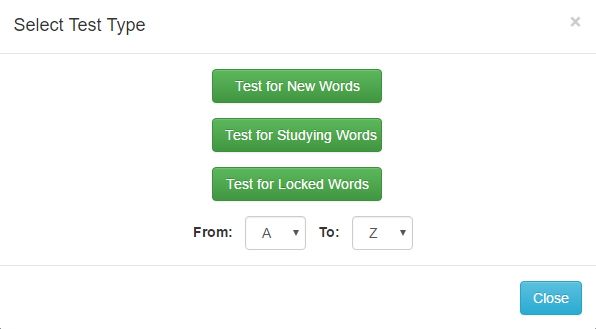 You need select test list: new words, studying words, or locked words. In addition, you can specify the word range to test. When test sheet is produced, the timer is turned on. You should finish the test as soon as possible. The Check Answer means you are trying to finish current test. If you click it, you may see score immediately. 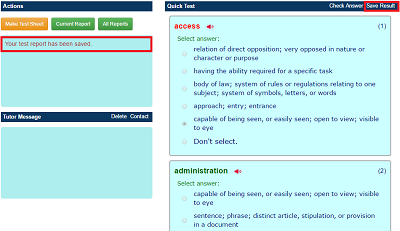 If your score is less than 40, your request will be refused, you have to make more answers correct. Your test results aren’t saved automatically. 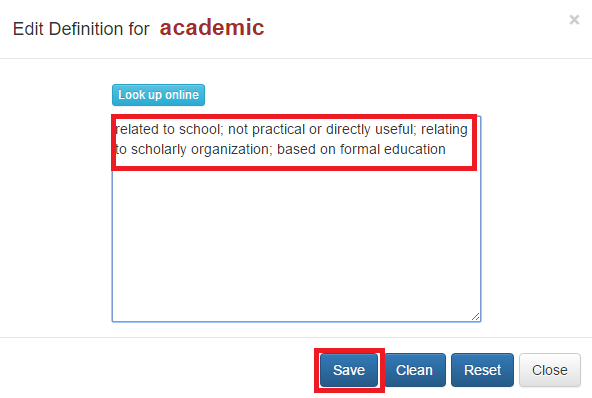 If you want to save test result for future reference, you need do it explicitly by Save Result. That button works only after your finishing a test successfully. At first, only the saved results can be sent. So you should save test it before sending. The secondly, you need specify Report Email in Settings->Preference. 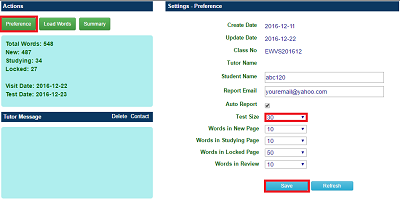 If you checked the Auto Report already, your test report will be sent automatically just after saving. 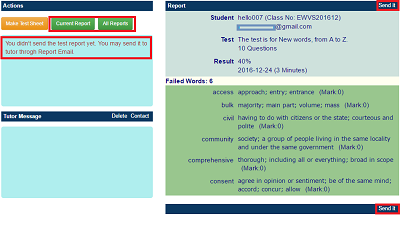 If you want to manually send test report, ensure the Report Email is right, open a test report through Quick Test->Current Report or All Reports, then click “Send it”. Yes. 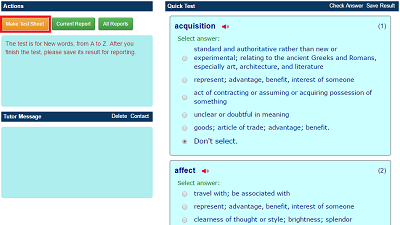 By default, each test includes 10 words. You can change the number by Settings->Preference. Check if you are using Chrome or Safari as browser, which VSO is supposed to run on. Refresh browser, for example by Ctrl+F5 in Chrome.